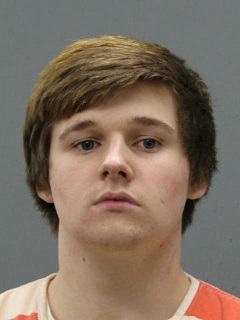 An 18-year-old Leesburg man was sentenced to 20 years in state prison after pleading guilty to burglary and aggravated malicious wounding. In the early morning hours of March 25, Devon Lee Clark entered the victim’s home through an unlocked rear door with the intent to steal some valuables. While Clark was entering an upstairs bedroom, the homeowner came out of different bedroom, startling the thief. Clark was armed with a knife and began swinging it at the homeowner, who was stabbed in his side and suffered significant and permanent physical injury, according to evidence presented in the case. When the homeowner yelled at Clark to get out of the house, he fled. Back home, Clark wiped down and returned the knife to where his father stored it in their home. Leesburg Police Department detectives received information that lead them to identifying Clark as a suspect. Clark was interviewed and confessed to breaking into the victim’s residence and stabbing the victim. He pleaded guilty in September. Clark also received 20wenty years of suspended time, followed by an indefinite period of supervised probation. He also was ordered Clark to pay $23,000 in restitution toward the victim’s medical expenses and other assorted costs related to the incident. Clark’s criminal record includes multiple contacts with the juvenile court system.